Mamata Banerjee's government has been accused of failing to upkeep the city's bridges. 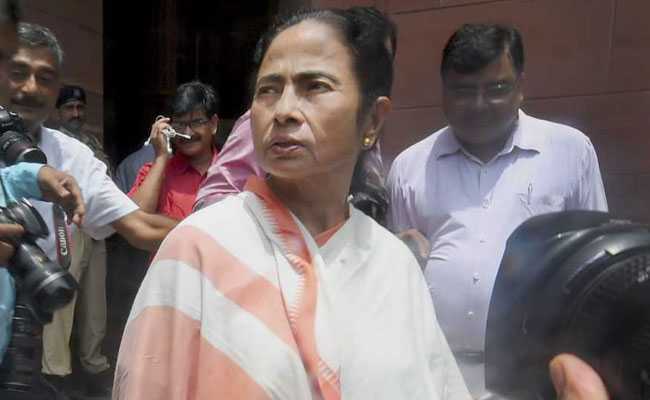 Bengal Chief Minister Mamata Banerjee today said 20 more bridges in Kolkata have been found to be weak. Pointing out that the earlier Left Front government had built the bridges, she said "There is no use blaming us". An investigation is on and strong action will be taken against whoever is responsible, she added. Two bodies have been found under the concrete of the Majherhat bridge in south Kolkata, a section of which crashed down on Tuesday, killing one person and injuring 24 others. Ms Banerjee's government has been accused of failing to upkeep the city's bridges. The Chief Minister has stopped work on the adjacent metro rail site, saying the vibrations from there may have affected the bridge. All heavy vehicles - like 20-wheel trucks - have been stopped from plying over the bridges and markets held under bridges have been asked to shift. Announcing the formation of a "bridge inspecting and monitoring cell", comprising officials of the Public Works Department, the Irrigation Department and the KMDA, she also suggested a nationwide survey of bridges. "There are many old bridges in the country. The British built many bridges. Sometimes details are not available," she said. RVNL, the agency that is building the metro station nearby the Majherhat bridge, has denied any link to the collapse, attributing it to "mid-span girder failure". "There is no relationship between the Metro construction and the mid-span girder failure... The Metro has stopped construction in the area one year ago," the agency said.